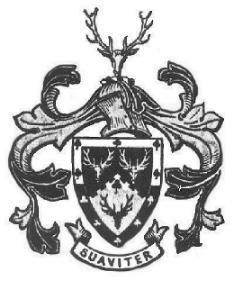 Crest: On a wreath of the colours a stags head caboshed, proper, charged with a fleur-de-lis sable. Welcome to people who have an interest in the name CAWOOD and related families. The greater part of the file, which is divided into six sections (Parts I - VI), is devoted to the 1820 Settler family of David Cawood and Mary Smith and their descendants, of whom I am one. I hope to keep the site active, and would welcome any pictures, of people or places, to add to it. A word of warning: this is meant to be a helpful preliminary guide to this branch of the Cawood family. It is NOT a definitive study, and I am sure there are many errors and unwarranted assumptions. I hope you will point them out to me, so that its usefulness will be refined and improved. Look upon this site as a collation of the work of others too numerous to mention. I have found genealogy researchers very generous of their time and of the information they have gathered, and I am most grateful to those who have helped me compile this family chart. I am also, as so many of us are, deeply indebted to the Church of Jesus Christ of Latter-Day Saints for freely and generously making their incomparable archives available to us all. Much of the information here comes from them, with all the usual caveats and reservations to be applied. [NOTE: I have had some difficulty with the no-information-about-living-persons rule. Strict application of the rule would severely compromise genealogical information sharing. I have tried to compromise by entering details up to and including the Sixth Generation (and their children) only, for the time being. This may include a few people who are still living, but mostly, like myself, of fairly advanced age (although there are a few exceptions, in that some "youngsters" have crept in where the generation gaps are longer). If anyone is upset by this, please let me know. I would point out that most of the material on this file is a matter of public record anyway. 1. Joshua CAWOOD b. c1690, occupation Nailmaker,m. c1716, in Otley, Yorks, Mary ----- b. c1695, Yorks, buried: 27 Jun 1763, Otley, Yorks. Joshua died Apr 1738, Otley, Yorks, buried: 17 April 1738, All Saints' Church, Otley, Yorks. ii. Mary CAWOOD b. 1718, Otley, Yorks, bap. 8 Jan 1717/18, All Saints' Church, Otley, Yorks, d. Feb 1741/42, Otley, Yorks, buried: 19 Feb 1741/42, All Saints' Church, Otley, Yorks. iv. Sarah CAWOOD b. 1723, Otley, Yorks, bap. 5 Mar 1723/4, All Saints' Church, Otley, Yorks. v. Anne CAWOOD b. 1725, Otley, Yorks, bap. 2 Feb 1725/6, All Saints' Church, Otley, Yorks, m. 17 Mar 1744/45,in All Saints' Church, Otley, Yorks, John WHITAKER, b. c1722, bap. 13 May 1722, All Saints' Church, Otley, Yorks. iii. Rachel CAWOOD b. 1743, bap. 11 Dec 1743, All Saints' Church, Otley, Yorks, buried: 26 Nov 1746, All Saints' Church, Otley, Yorks. iv. Jonathan CAWOOD b. 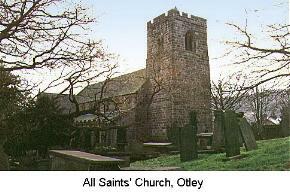 1746, Otley, Yorks, d. Nov 1746, Otley, Yorks, buried: 19 Nov 1746, All Saints' Church, Otley, Yorks. vi. Mary CAWOOD 1749, Otley, Yorks, bap. 23 Oct 1749, All Saints' Church, Otley, Yorks, d. Jun 1763, Otley, Yorks, buried: 27 Jun 1763, All Saints' Church, Otley, Yorks. xi. Grace CAWOOD b. 1760, Otley, Yorks, bap. 14 Sep 1760, All Saints' Church, Otley, Yorks, d. Jul 1761, Otley, Yorks, buried: 20 Jul 1761, All Saints' Church, Otley, Yorks. 3. John CAWOOD b. 1721, Otley, Yorks, bap. 7 Nov 1721, All Saints' Church, Otley, Yorks, occupation Nailmaker, m. 7 Oct 1741, in All Saints' Church, Otley, Yorks, Mary WRAY, b. c1723, bap. 7 Apr 1723, All Saints' Church, Otley, Yorks, (daughter of Thomas WRAY and Elizabeth SYKES). John died Oct, 1786, Knaresborough, Yorks, buried: 25 Oct 1786, All Saints' Church, Otley, Yorks. i. Grace CAWOOD b. 1742, Otley, Yorks, bap. 9 Apr 1742, All Saints' Church, Otley, Yorks. ii. Thomas CAWOOD b. 1743, Otley, Yorks, bap. 4 Jan 1743/44, All Saints' Church, Otley, Yorks. iii. Joseph CAWOOD b. 1744, Otley, Yorks, bap. 27 May 1744, All Saints' Church, Otley, Yorks. 4. Elizabeth CAWOOD b. 1729, Otley, Yorks, bap. 3 Oct 1729, All Saints' Church, Otley, Yorks, m. 29 Nov 1753, in All Saints' Church, Otley, Yorks, John CLAPHAM, b. c1732, bap. 31 Mar 1732, All Saints' Church, Otley, Yorks, (son of William CLAPHAM and Anne FENTIMAN). iii. Mary CLAPHAM b. 1758, Otley, Yorks, bap. 14 May 1758, All Saints' Church, Otley, Yorks, d. Nov 1759, Otley, Yorks, buried: 19 Nov 1759, All Saints' Church, Otley, Yorks. iv. Jonathan CLAPHAM b. 1760, Otley, Yorks, bap. 21 Sep 1760, All Saints' Church, Otley, Yorks. v. Mary CLAPHAM b. 1762, Otley, Yorks, bap. 20 Feb 1763, All Saints' Church, Otley, Yorks, d. Nov 1768, Otley, Yorks, buried: 27 Nov 1768, All Saints' Church, Otley, Yorks. vi. Anne CLAPHAM b. 1765, Otley, Yorks, bap. 29 Dec 1765, All Saints' Church, Otley, Yorks. vii. Betty CLAPHAM b. 1768, Otley, Yorks, bap. 15 May 1768, All Saints' Church, Otley, Yorks. 5. Joshua CAWOOD b. 1734, Otley, Yorks, bap. 17 Nov 1734, All Saints' Church, Otley, Yorks, m. 18 Apr 1756, in All Saints' Church, Otley, Yorks, Mary LISTER, b. 1732, bap. 28 Apr 1732, Bingley, Yorks, (daughter of Thomas LISTER and Sarah MIDGLEY) d. 20 May 1818, Keighley, Yorks, buried: Keighley, Yorks. Joshua died 29 Jan 1804, Keighley, Yorks, buried: Keighley, Yorks. ii. Joshua CAWOOD b. c1759, bap. 22 Jul 1759, Keighley, Yorks, d. 27 Jan 1837, Keighley, Yorks. iii. John CAWOOD b. c1761, bap. 10 Jul 1761, Keighley, Yorks, d. 13 May 1778, Keighley, Yorks. v. Samuel CAWOOD b. c1764, bap. 7 Nov 1764, Keighley, Yorks, d. 30 Jan 1780, Keighley, Yorks. vii. Betty CAWOOD b. 1769, bap. 10 Feb 1770, Keighley, Yorks, d. 13 Feb 1786, Keighley, Yorks. viii. Jesse CAWOOD b. c1773, bap 12 Sep 1773, Keighley, Yorks, m. 26 Aug 1790, Betty HARTLEY, b. c1775. 6. Joshua CAWOOD b. 1739, Otley, Yorks, bap. 9 Sep 1739, All Saints' Church, Otley, Yorks, occupation Nailmaker, m. 7 Jan 1759, in All Saints' Chuech, Otley, Yorks, Mary LONGFIELD, b. c1739, bap. 29 May 1740, All Saints' Church, Otley, Yorks, (daughter of Joshua LONGFIELD and Isabel BROWN). i. Grace CAWOOD b. 1759, Otley, Yorks, bap. 5 Aug 1759, All Saints' Church, Otley, Yorks. iv. Martin CAWOOD b. 1766, Otley, Yorks, bap. 11 May 1766, All Saints' Church, Otley, Yorks, d. Apr 1767, Otley, Yorks, buried: 2 May 1767, All Saints' Church, Otley, Yorks. v. Thomas CAWOOD b. 1768, Otley, Yorks, bap. 1 May 1768, All Saints' Church, Otley, Yorks, d. Jul 1770, Otley, Yorks, buried: 22 Jul 1770, All Saints' Church, Otley, Yorks. vi. Sarah CAWOOD b. 1771, Otley, Yorks, bap. 15 Dec 1771, All Saints' Church, Otley, Yorks, d. Mar 1809, Otley, Yorks, buried: 15 Mar 1809, All Saints' Church, Otley, Yorks. vii. Joshua CAWOOD b. 1779, Otley, Yorks, bap. 8 Aug 1779, All Saints' Church, Otley, Yorks, d. Aug 1780, Otley, Yorks, buried: 2 Sep 1780, All Saints' Church, Otley, Yorks. viii. Joshua CAWOOD b. 1782, Otley, Yorks, bap. 5 May 1782, All Saints' Church, Otley, Yorks, d. Jun 1783, Otley, Yorks, buried: 25 Jun 1783, All Saints' Church, Otley, Yorks. 7. Sarah CAWOOD b. 1741, Otley, Yorks, bap. 6 Sep 1741, All Saints' Church, Otley, Yorks, m. 22 Sep 1760, in All Saints' Church, Otley, Yorks, Thomas LOWCOCK. i. Thomas LOWCOCK b. 1762, Otley, Yorks, bap. 6 Mar 1763, All Saints' Church, Otley, Yorks. 8. Jonathan CAWOOD b. 1747, Otley, Yorks, bap. 3 Oct 1747, All Saints' Church, Otley, Yorks, occupation Nailmaker, m. 18 Feb 1765, in All Saints' Church, Otley, Yorks, Elizabeth ROBINSON, bap. 26 Nov 1746, All Saints' Church, Otley, Yorks, (daughter of William ROBINSON) buried: 17 Mar 1822, All Saints' Church, Otley, Yorks. Jonathan died Apr 1834, Otley, Yorks, buried: 17 Apr 1834, All Saints' Church, Otley, Yorks. iv. Elizabeth CAWOOD b. 1774, Otley, Yorks, bap. 26 Dec 1774, All Saints' Church, Otley, Yorks, d. Aug 1777, Otley, Yorks, buried: 1 Sep 1777, All Saints' Church, Otley, Yorks. viii. Rachel CAWOOD b. 1782, Otley, Yorks, bap. 29 Dec 1782, All Saints' Church, Otley, Yorks, d. Apr 1783, Otley, Yorks, buried: 4 Apr 1783, All Saints' Church, Otley, Yorks. ix. Thomas CAWOOD b. c1784, bap. 10 Apr 1784, Otley, Yorks. 9. Elizabeth CAWOOD b. 1751, Otley, Yorks, bap. 20 Oct 1751, All Saints' Church, Otley, Yorks, m. 16 Dec 1771, in All Saints' Church, Otley, Yorks, Christopher BROWN, bap. 9 Sep 1750, All Saints' Church, Otley, Yorks, (son of Thomas BROWN) occupation Saddler. iii. Betty BROWN b. 1781, Otley, Yorks, bap. 23 Sep 1781, All Saints' Church, Otley, Yorks. 10. John CAWOOD b. 1753, Otley, Yorks, bap. 26 Dec 1753, All Saints' Church, Otley, Yorks, occupation Silver Plater, m. 20 Sep 1779, in All Saints' Church, Otley, Yorks, Jane GARNETT, b. c1753, Yorks, bap. 13 May 1753, All Saints' Church, Otley, Yorks, (daughter of John GARNETT and Mary -----) d. Aug 1825, Otley, Yorks, buried: 13 Aug 1825, Otley, Yorks. i. Thomas CAWOOD b. 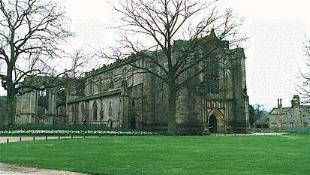 1781, Otley, Yorks, d. Jun 1782, Otley, Yorks, buried: 4 Jun 1782, All Saints' Church, Otley, Yorks. iii. John CAWOOD b. 1792, Otley, Yorks, bap. 30 May 1792, All Saints' Church, Otley, Yorks. 11. Martin CAWOOD b. 1756, Otley, Yorks, bap. 9 May 1756, All Saints' Church, Otley, Yorks, occupation Silver Plater, m. c1784, Elizabeth -----, buried: 4 Mar 1791, All Saints' Church, Otley, Yorks. Martin died May 1824, Otley, Yorks, buried: 17 May 1824, All Saints' Church, Otley, Yorks. i. Harriet CAWOOD b. 1785, Otley, Yorks, bap. 3 Apr 1785, All Saints' Church, Otley, Yorks. ii. Elizabeth CAWOOD b. 1787, Otley, Yorks, bap. 1 Apr 1787, All Saints' Church, Otley, Yorks. iii. Rachel CAWOOD b. 1789, Otley, Yorks, bap. 23 Apr 1789, All Saints' Church, Otley, Yorks, d. Jul 1790, Otley, Yorks, buried: 2 Jul 1790, All Saints' Church, Otley, Yorks. 12. Thomas CAWOOD b. 1758, Otley, Yorks, bap. 16 Apr 1758, All Saints' Church, Otley, Yorks, occupation Sexton; Nailmaker, m. 9 Nov 1778, in All Saints' Church, Otley, Yorks, Elizabeth CHRISTOPHERSON, b. c1758, Yorks, (daughter of John CHRISTOPHERSON and Anne -----). ii. Harriet CAWOOD b. 1782, Otley, Yorks, bap. 17 Nov 1782, All Saints' Church, Otley, Yorks, d. May 1783, Otley, Yorks, buried: 20 May 1783, All Saints' Church, Otley, Yorks. iii. Thomas CAWOOD b. 1784, Otley, Yorks, bap. 20 Jun 1784, All Saints' Church, Otley, Yorks. iv. John CAWOOD, b. 1787, Otley, Yorks, bap. 5 Aug 1787, All Saints' Church, Otley, Yorks. v. Charles CAWOOD b. 1790, Otley, Yorks, bap. 8 Oct 1790, All Saints' Church, Otley, Yorks. vi. Anne CAWOOD b. 1793, Otley, Yorks, bap. 30 Jun 1793, All Saints' Church, Otley, Yorks, d. Jul 1795, Otley, Yorks, buried: 8 Jul 1795, All Saints' Church, Otley, Yorks. vii. Frederick CAWOOD b. 1796, Otley, Yorks, bap. 7 Aug 1796, All Saints' Church, Otley, Yorks. viii. Edwin CAWOOD b. 4 Mar 1799, Otley, Yorks, bap. 12 May 1799, All Saints' Church, Otley, Yorks. 13. John CLAPHAM b. 1754, Otley, Yorks, bap. 19 Jan 1755, All Saints' Church, Otley, Yorks. i. John CLAPHAM b. c1778, Otley, Yorks, d. Dec 1778, Otley, Yorks, buried: 23 Dec 1778, All Saints' Church, Otley, Yorks. 14. William CLAPHAM b. 1756, Otley, Yorks, bap. 27 Jun 1756, All Saints' Church, Otley, Yorks, occupation Cordwainer, m. c1785, Elizabeth -----, buried: 5 Apr 1794, All Saints' Church, Otley, Yorks. i. Christopher CLAPHAM b. 1786, Otley, Yorks, bap. 28 Jan 1787, All Saints' Church, Otley, Yorks. 15. James CAWOOD b. c1757, bap. 2 Jan 1758, Keighley, Yorks, m. 10 Sep 1780, Hannah CLAPHAM. i. Joshua CAWOOD b. c1781, bap. 29 Jul 1781, m. (1) 20 Sep 1801, Nanny SHARD b. 1782, d. 2 Sep 1819, m. (2) 26 Dec 1819, Frances BOOCOCK. ii. Sarah CAWOOD b. c1781, bap. 29 Nov 1781.
iii. Hannah CAWOOD b. c1786, bap. 5 Mar 1786.
iv. James CAWOOD b. c1788, bap. 22 Jun 1788, d. 21 Oct 1791. 16. Mary CAWOOD b. c1763, bap. 8 May 1763, Keighley, Yorks, m. 26 Sep 1781, Richard WILKINSON, b. c1760. i. William WILKINSON b. c1785, bap. 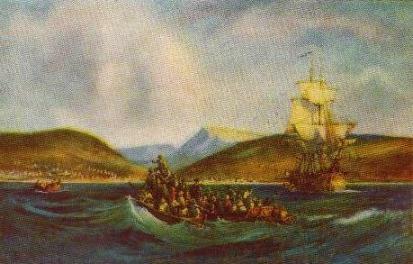 6 Nov 1785.
ii. Richard WILKINSON b. c1787, bap. 4 Nov 1787.
iii. Martha WILKINSON b. c1789, bap. 8 Nov 1789.
iv. William WILKINSON b. c1791, bap. 8 Jan 1792.
v. Richard WILKINSON b. c1794, bap. 26 Jan 1794.
vi. Elizabeth WILKINSON b. c1796, bap. 14 Feb 1796.
vii. Anne WILKINSON b. c1798, bap. 18 Feb 1798.
ix. Mary WILKINSON b. c1799, bap. 5 Jan 1800.
x. John WILKINSON b. c1802, bap. 11 Jul 1802.
xi. Johnson WILKINSON b. c1806, bap. 9 Feb 1806. 17. Thomas CAWOOD b. c1767, bap. 8 Nov 1767, Keighley, Yorks, m. 27 May 1793, Margaret MOULDEN, b. c1770. i. Samuel CAWOOD b. c1794, bap. 8 May 1794. 18. David CAWOOD b. 9 Apr 1775, Keighley, Yorks, m. 9 Apr 1798, in Bingley, Yorks, Mary SMITH, b. 3 Mar 1776, Bingley, Yorks, bap. 13 Mar 1776, Bingley, Yorks, (daughter of James SMITH and Martha SOWDEN) d. 2 Jan 1822, Trappes valley, Albany, Cape, buried: Shaw Park. David died 2 Mar 1832, Kaffir Drift, Lower Albany, Cape, buried: Shaw Park. 19. Sarah CAWOOD b. c1777, bap. 1 Jan 1778, Keighley, Yorks, m. c1800, William BARRETT, b. c1775. This file is continued in The Cawood File (Part II). Click on the appropriate link on the right.